Last week I was on the phone with my friend from San Diego. She’s been going through a tough time. If you’re juggling several projects that each feels like a full time job, you understand – it’s stressful! My friend is in charge of a large technology project for a bank that is driving her crazy. She’s also caring for her dad with Alzheimer’s. To top it off, she’s a few months away from completing her Psychology degree because she wants to change careers. Normally light-hearted and humorous, she sounded irritable and even depressed. She was overwhelmed. 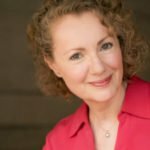 She badly needed a vacation but she didn’t have time for one, so I asked her to try something different – a technique I use in my coaching practice to help my clients reduce stress. I asked her to close her eyes and just listen to my voice. Right there, on the phone, I lead her through a relaxation exercise, followed by a visualization. We went on a virtual journey to a beautiful world of energy and light. She felt refreshed. Even her voice sounded lighter. I was glad I was able to help her. Find a quiet place where you will not be interrupted. Turn off your phone. Take a couple of cleansing breaths to relax and center yourself. Imagine that you are sitting in a beautiful spot in nature. It could be a solitary beach, the top of a mountain, or in a forest. Try to vividly imagine all the sounds of nature around you. Feel a fresh breeze on your face. Then let something specific in your imagined surroundings catch your attention: perhaps a few grains of sand, a small bright-colored pebble, the silky blades of grass, or a leaf on a tree swaying in the wind. Imagine the smells that surround you – the salty air from the ocean, the sweet fragrance of a field of flowers, the refreshing scent of the trees. Visualize as many details as you can for a few minutes while breathing deeply and rhythmically. Feel the peace all around you and let it enter into your body. After a few minutes of visualization, take a couple of cleansing breaths. Open your eyes. There’re so many ways to create visualizations to make them effective for different issues and challenges. When I work with my clients, I create custom visualizations for them in each of our sessions. With my San Diego friend, for example, we went on a journey to an imagined world – a world of light and energy that had nothing in common with her daily life and worries. She felt so refreshed after the meditation that she asked me if I could record the visualization I did with her so she could practice it on her own. I’ve been asked so many times for the recordings of these impromptu meditations by other people that her request finally pushed me to do it. A lot of people find that it’s easier to follow guided visualization rather than maintaining focus on their own. If you’re going through a stressful time, give it a try. I hope you enjoy it!